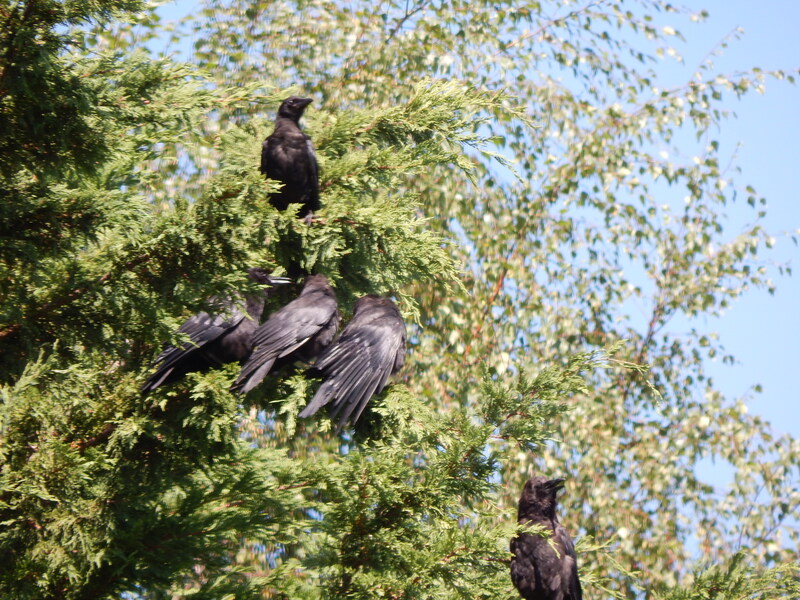 The summer heat has taken its toll on the local Crow family around our house. 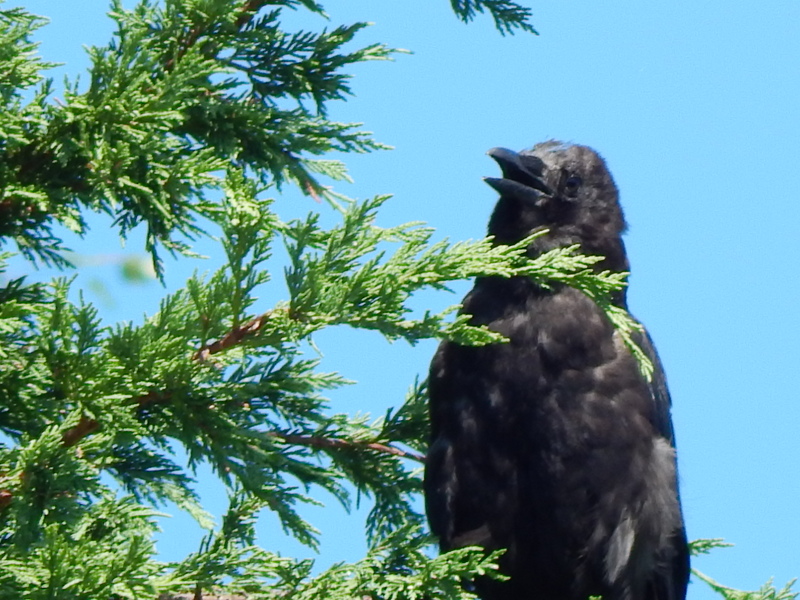 Their feathers are lack luster during the process of molting. 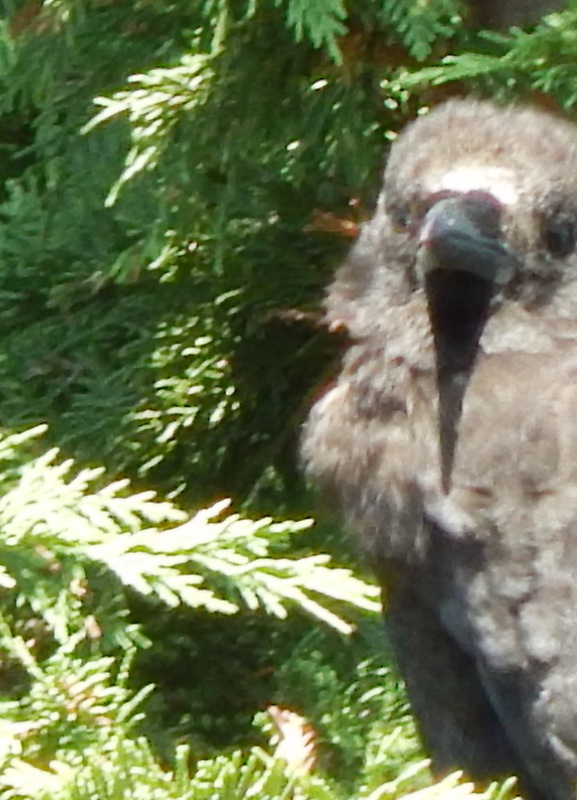 The baby crows are particularly impacted since they need to change their feather suit from juvenile to adult. One of my older birds looks even worse for wear. He has lost his head feathers and looks the part of the frumpy bald old man. Here is a shot of the family sunning themselves. Guess the family that molts together stays together.